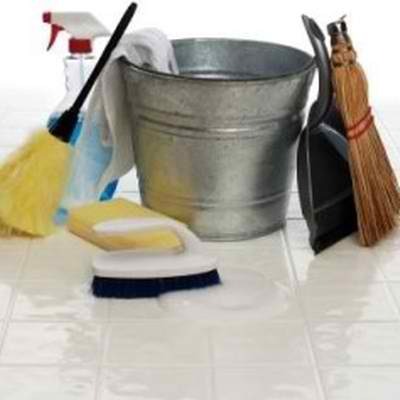 Often overlooked during weekly cleaning, the walls, windows and baseboards of your home harbor plenty of dirt and dust. Wash them at least once a year to protect their finish and ensure they look polished. Move the furniture away from your walls, and wipe down the walls with a slightly damp cloth or magic eraser. The baseboards are also easy to wash off with a damp cloth. For a thorough cleaning, use a toothbrush to reach into all the crevices. Use vinegar on the windows instead of glass cleaner to cut through accumulated dirt and prevent streaks. Accumulated dirt, pet dander and odors will eventually ruin your carpets. Instead of just running the vacuum each week, deep clean your carpets at least once a year. You can easily rent a carpet cleaner and do the job yourself or you can hire a professional cleaning service. Doing so will prolong the life of your floors, and reduce the chances of you having to replace them in the near future. Modern or antique, your furniture will last longer when it’s free from dirt. Take time this spring to wipe off each piece from top to bottom. Use a soft cloth on wood to prevent scratches, and remember to spot treat dirty upholstery, flip the cushions and repair any tears or holes in the fabric. In addition to attracting pests and rodents, clutter reduces your ability to exit your home in an emergency. Commit to tossing or donating clutter like piles of books, excess furniture or anything you haven’t used in six months. Your home will thank you. With these spring cleaning tips, you’ll reduce maintenance costs over time. Not only will your house look its best, but it’ll be ready to weather the worst. As always, if you have any questions or concerns about your home insurance policy, call Tracy-Driscoll at 860-589-3434.